What do I do when I have a home claim? You know why you are buying insurance, but what about umbrella coverage? It’s not just for those OMG what are we to do now moments anymore. The list below should convince you that an umbrella policy is a cost-effective way to protect the business you’ve worked so hard to build. The following list came from a Liberty Mutual Insurance company flyer, but applies anyway. 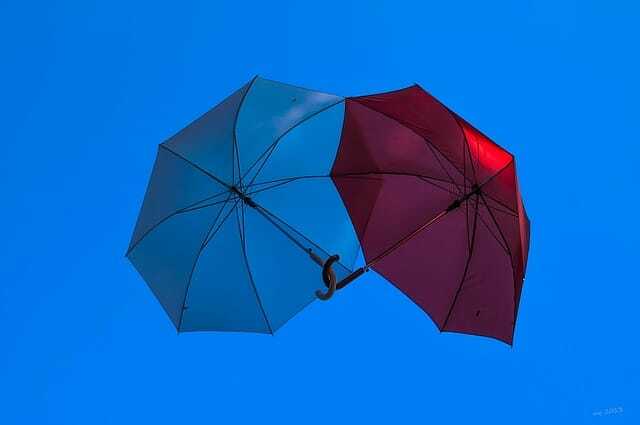 An umbrella policy is smart business and provides greater peace of mind. It protects your employees, assets, hard work, reputation, and future. Original ISO policy limits were set at $1 million in 1985. In 2015, the coverage equivalent of that limit was just $226,000. The cost of inflation reduced coverage by 77%! Multimillion-dollar settlements are becoming much more common. Advances in medical technology and prescription drugs have increased the costs of medical care, and new exposures with no historical loss experience (e.g., technology, foreign liability, identity theft, global warming) are on the rise. Auto crashes are the leading cause of umbrella claims. In the U.S., there’s one auto-related injury every 13 seconds and one fatality every 15 minutes. Cars are just as likely as large trucks to cause a severe accident, and driver distractions are growing due to interactions with phone calls, texting, and GPS. Today’s primary limits may not be enough for claims that take years to settle. Even though a claim may take several years to resolve, a jury will often consider an award in “current” dollars. Umbrella policies allow you to respond quickly and more affordably to changes brought about by lease, job site, vendor, and municipal requirements. Legal costs, judgment awards, and settlements outside existing policy limits can cripple a business. Consider who will pay defense costs, manage a large claim, manage a claim in a faraway jurisdiction, and find the right legal experts to handle a complex claim. Your business’s prominence can make it a target for legal action, even when there’s a small percentage or question of actual liability. You’ll be best served by an umbrella provider that knows the ins and outs of large legal and medical scenarios and adds value by showing you how to reduce risk or offering crisis management support. There are many aspects to successful financial plans. Most include a family budget, emergency savings, retirement savings, and…insurance! So today, let's review the important parts of your insurance financial plan. Protect Your Money - Liability is a misunderstood coverage, but it's extremely important. When you are held responsible for an accident, your assets and money are at risk! What if your teenager caused an accident and your were sued? What if you caused a major accident and didn't have enough liability coverage? Good insurance can make sure this doesn't happen! We look at how much you have to protect (total assets) and create a plan to cover it all. Protect Your Family - You can protect all of your belongings, but the ultimate way to protect your family is with good life and disability insurance. If something happens to you, you don't have to worry about your family being protected. You can plan to pay off debt, pay for college, or anything else that is important to you. All of this might seem like a lot for think about, but it doesn't have to be. With a great insurance agent, you can meet once a year and trust that all of these things are taken care of. Why not take a few minutes to schedule an insurance financial planning review with one of our agents? When quoting auto insurance for clients, we frequently discuss how to choose the right deductible. I thought I’d take a few minutes to share this information here on our website too! A deductible is the amount you pay out of pocket when you have a claim. If you have a $500 collision deductible and have an accident, then you would pay $500 towards repairing your vehicle and insurance would cover the rest. The deductible you choose directly relates to the amount of money you spend on premiums each month. The higher the deductible ($250, $500, $1000), the lower your monthly cost. So how do you choose? Cheaper price or lower out of pocket expense? First, look at your emergency savings. Do you have enough cash available to cover a higher deductible if you had to pay it? If the answer is no, then you’re better off paying a little extra each month. Compare the cost savings. When we run a quote, we can show you several different options. Ask your agent to run the premium based on several different deductibles so you can see the actual dollar cost savings. You can always change your mind. If you’re short on cash now, but know you could afford more out of pocket next year, you’re always able to change. Keep your deductible in a comfortable range and you’ll always be well protected! Maintenance tasks we share that you can do to keep your home in tip-top shape all year long. So here are a few simple tasks you can do in September to prepare your home for cool fall weather! Check Gutters - Take a few minutes to make sure your gutters are clear. With rain and falling leaves, gutters will be working overtime. By making sure they’re clear now, you’ll avoid water damage later on. Clean The Dryer Vent - Lint accumulating in the dryer vent can cause a house fire. A couple of times per year, unplug the dryer and thoroughly vacuum the area around the dryer vent and hose. Remember to check the outside vent too! Gather Firewood - Will you be burning a wood stove or fireplace this winter? Start gathering up firewood now and save yourself from the task when it’s cold outside. Get Ready For Autumn - Now is a great time to start planting some fall flowers. Mums make a great addition to your front porch! Save On Home Insurance - Homeowners Insurance is an important part of protecting your belongings. To make sure you have the best coverage, call your agent to review your policies. September is Life Insurance Awareness Month. You’ll probably see TV commercials and magazine articles talking about why this coverage is so important all month long. And you probably already know it’s important. But that doesn’t mean that you’ve got your policy set up yet! The Life Foundation says that only 62% of people who believe they need life insurance, actually have it. And even those that have it only carry enough to replace their income for 3.6 years. If you have young children to support, that is simply not enough time! And if you're skipping life coverage all together, then you are putting your family at risk. So why do people wait too long to purchase life insurance? Well, the Life Foundation also says that 86% of Americans say they haven't purchased it because it's "too expensive,” yet overestimate the cost by more than 2X! Life Insurance rates are based on a number of factors, including age, health conditions, and smoking status. By not smoking and purchasing when you're younger, you can save substantial money. In fact, many term life policies are less than $30 per month! Here’s what we recommend...call the office and set up an appointment with one of our life insurance specialists. Bring information on your annual income, as well as any debts (like your mortgage). We’ll give an accurate picture of how much coverage you need as well as different ways to make it affordable. Don’t wait another minute! Call us today to set up an appointment. As August ends, it's time to start thinking about going back to school! What does that have to do with insurance? Here are a few things to keep in mind. Good Grades - Do you have a teenage driver in the house (or one on the way)? Many policies allow discounts for students with good grades. Don't forget to talk to your kids about the importance of keeping those grades up! These discounts can apply to college students too. can review all the options and let you know which discounts will impact you the most. Moving To The Dorm - Is your college student living in the dorm this semester? Your Homeowners Insurance may cover their belongings without additional coverage being needed. This is called Property Off Premises coverage. Remember, any claims would be subject to your deductible which is usually higher on home policies! Let us review your policy to check for the specific amounts of coverage included. dorms and moved on to an apartment. In this case, your Homeowners Insurance would not cover their belongings and they would need their own Renters Insurance policy. Renters Insurance is very affordable and covers all of the contents of the property. It also provides liability insurance if someone were injured in the property or if the student caused a fire, etc. By making sure they are properly insured, you are also protecting yourself. We work hard to make sure all of our clients have the right coverage at all times. The fastest and easiest way to make sure your student is receiving all the discounts they qualify for and that their belongings are covered at college is to schedule a review! Call to review your policy and situation and we'll make sure all of your questions are answered. How Long Does An Accident Stay On Your Record? I hear questions like this a lot. Tickets and accidents can cause spikes in your car insurance rates and no one wants that. The good news is that they eventually they drop off and your rate goes back down. The bad news is that it typically takes 3 years for that to happen. If you get a ticket, you may be able to avoid having a surcharge on your policy by taking a defensive driving course and getting the ticket removed. This will depend on your past record and what the court offers, but it is a good option! If your rates do go up, make sure you are taking advantage of all other discounts to offset the increase. Bring all of your insurance to one company so you take advantage of multi-policy discounts. Raise your deductible for a while so you pay more out of pocket in an accident, but a lower monthly rate. Have questions? We're always available to help! Just give us a call and schedule a free review to see what is available and how we can keep your rates manageable even after an accident.